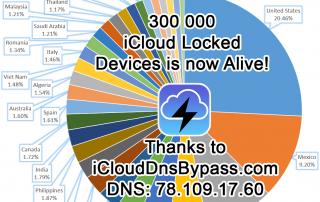 More than 300k devices is now connected to iCloud DNS Bypass! Our community is constantly growing, only two weeks ago, there were 200k, and now more than 300k devices connected to iCloud DNS Bypass. While waiting for news from the unlock source, we have some things to do. As some of you already noticed, I added a Captive Portal. Scammers will receive a surprise now. If you one of them, then you may get message "Banned forever". 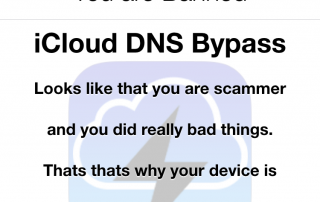 More than 200k devices is now connected to iCloud DNS Bypass! 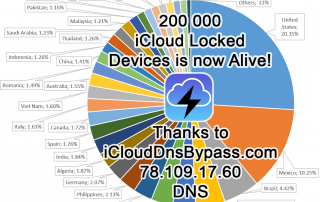 Was not much time gone, only 2 month, and we have already more than 200k devices connected to iCloud DNS Bypass server! Thanks to all who support us and sent donations. 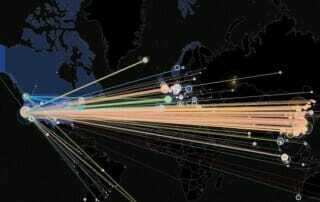 We are now under large DDoS attack, more than 2.5Gbit/s. We expect service to return to normal very shortly. Stay tuned. 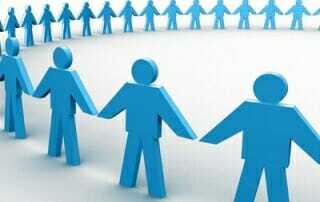 You can use our alternative IP address: 78.109.17.61 to continue use service. 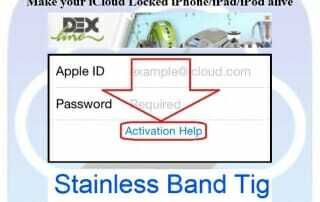 The money will go to support server and development of special Web sites that working only on iCloud locked devices, such as an alarms and a clock, for example.